Bipolar disorder causes mood swings that vary between depression and mania. Those with type 1 bipolar disorder will have very extreme manic episodes that may be accompanied by psychosis. If anyone has had experience with an adult family member who developed bipolar disorder type 1, they would know of the issues associated with how it may cause a person to hallucinate things happening, or even believe things happened from the past that never occurred. This is prevalent in people who go untreated for their disorder or those who will refuse to regularly take their medication. Recently, with the controversy over Christina Blasey Ford’s additional front door on her house, it occurred to me that she could have bipolar type 1 disorder. First: Ford named several people at the alleged party, including Mark Judge, who she claims was in the room laughing while Brett Kavanaugh forced himself on top of her. Judge denies it ever happened. The other people she named at the party refuted her story. Second: Ford’s allegation involves an extreme, inappropriate sexual act against her. She never went to the police, never told her parents, and nobody else has collaborated that she ever told them about it before lawyers were involved in the matter. Third: Why would Ford claim she was unable to fly due to fears, although she is a frequent flyer, and was able to fly later? Fourth: Why did Ford bring up the totally irrelevant issue about the second front door on her house? 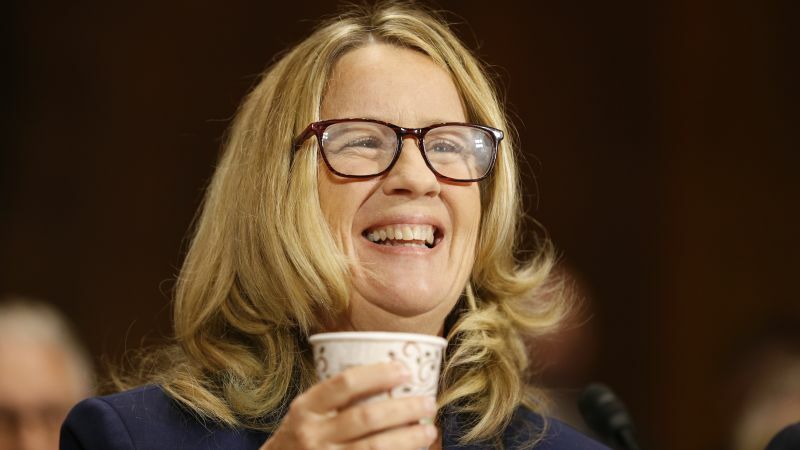 Ford claims it was installed because she has claustrophobia and her and her husband attended a counseling session in 2012 over the matter. She said it was because he did not want to install the second door. It seems very odd to me that they attended counseling over something as minor as this. Add to this, now there is photo evidence showing the second door was installed before 2012, making her story even stranger. I think at this point you know where I am going. It is possible that she believes what happened to her. She may believe Kavanaugh really did it because it was ingrained into her memory from bipolar psychosis—so that even when she is stable, she believes it really happened. People with bipolar disorder will falsely claim that people from the past, even when if they were mentally healthy at time, raped them. Psychosis will cause them to initiate fights with people they don’t know, and then claim it was the other person attacked them for no reason or claim that person raped them. It is possible she was not taking her medication the first time she was requested to testify. This is why she (or her husband/lawyers) claimed she was scared of flying. They needed the time to get her back on meds and stabilize. It’s not uncommon for people with bipolar type 1 disorder to go through the same cycle over and over where they will stop taking their medication. Once they are off the meds for few days, they will refuse to take them, even at request of doctors and family. People with bipolar disorder can also have episodes where they say all sorts of false things about people they know or about family members. They may or may not remember saying them. The second front door on the house is interesting because it could have been installed as an entrance to a safe room where she would be free to come and go as she pleases while being locked out of the main house. This room would be needed because people with bipolar type 1 disorder will take things out of the house and put them out in the yard, or take things out of cabinets and set them around the house. They will take food out of the refrigerator and set it around the house and hide it. They may take cleaners or other chemicals out and mix them in food. They will throw away valuable things and keys. They will throw away their medication and family member’s medication if they have access to it. They can be fascinated with matches, lighters and candles. They may turn the oven on, leave a sink or bathtub faucet running with the drain stopper in place. They may take their clothes off and go outdoors. They are also inclined to meet strange people and let them into the house late at night or early morning while others are sleeping. I think her husband and her lawyers know she is bipolar. If any legal action is taken against her she will not be held accountable for being mentally ill. Her husband didn’t even come to the hearing with her. He may not want to be questioned by anyone because he either knows or suspects her claims are not true due to her mental disorder. Her medical history is confidential and we may never know the truth. I hope the FBI will question local police to see if they have a history of picking her up and taking her home or calling her husband to come pick her up. They may not necessarily keep files on this because they know she is mentally ill and don’t want to fill out paperwork over it. This should have been held confidential, but since Democrats don’t believe it either, they are making a circus out of it to delay and cause unnecessary grief for Kavanaugh, his family and friends—all for a political agenda. Sad. Interesting perspective. That is something that should seriously be considered.